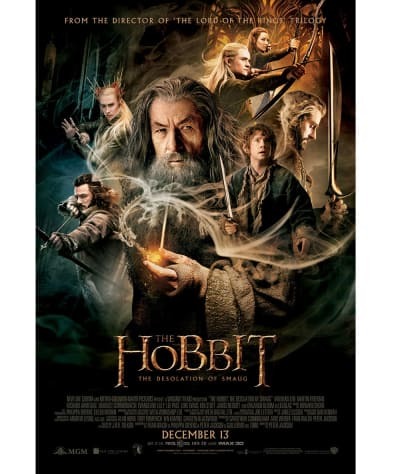 The Hobbit: The Desolation of Smaug Giveaway: Win Middle Earth Prize Pack! To celebrate the release of The Hobbit: The Desolation of Smaug in theaters, Warner Bros. Pictures, New Line Cinema, Metro-Goldwyn-Mayer Pictures and Movie Fanatic offer you the chance to win a prize pack as huge as those Hobbits are small (in stature, not in courage!). 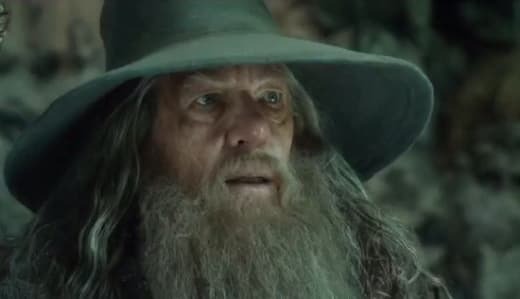 The Hobbit: The Desolation of Smaug lands in theaters December 13 and is the second chapter in Peter Jackson's The Hobbit trilogy. 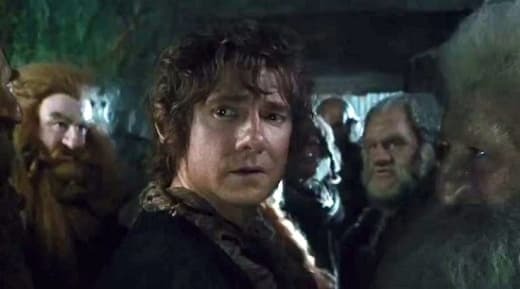 As teased in The Hobbit: The Desolation of Smaug trailer, Bilbo (Martin Freeman) and Gandalf (Ian McKellen) continue their journey to liberate the sacred homeland of their dwarf companions from the evil dragon Smaug. Our grand prize winner will win a The Hobbit: The Desolation of Smaug prize pack containing a The Hobbit: The Desolation of Smaug Bamboo Pen, a The Hobbit: The Desolation of Smaug Beanie, Smaug Character Tee, Set of 5 Die-Cut Metal Magnets in The Hobbit: The Desolation of Smaug Box and a 2-Pack of IMAX tickets. Our enormous prize pack winner will also take home a Thorin Symbol Pigment Dyed Zip Hoodie, a Wooden USB in Custom Wooden Box with Map, a Wooden Watch, a Leather Travel Bag and The Hobbit: The Desolation of Smaug Soundtrack CD. 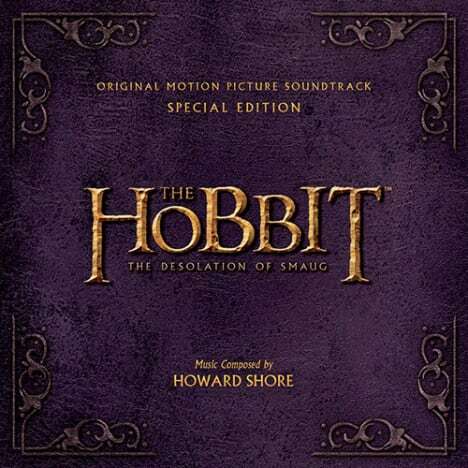 The Hobbit: The Desolation of Smaug - Original Motion Picture Soundtrack Featuring Original Music by Academy Award Winner Howard Shore. Order it on iTunes or Amazon. Also included is a $20 gift card to the restaurant home for The Hobbit: The Desolation of Smaug -- Denny's! Middle-earth is back at America's Diner! A fortune of flavors awaits you with a variety of Hobbit-inspired fare, for a limited time only. Our grand prize winner will be selected at random on December 16. Good luck! Don’t forget to visit the The Hobbit: The Desolation of Smaug official site for more on the new film. And to further stay informed on all things The Hobbit: The Desolation of Smaug, check out The Hobbit: The Desolation of Smaug Facebook page, The Hobbit: The Desolation of Smaug Twitter page and follow @wbpictures on Twitter. Be sure to enter now as the sweepstakes runs through December 16. The Hobbit: The Desolation of Smaug will debut with special midnight screenings Thursday, December 12, and starts everywhere, Friday, December 13. From Academy Award-winning filmmaker Peter Jackson comes The Hobbit: The Desolation of Smaug, the second in a trilogy of films adapting the enduringly popular masterpiece The Hobbit, by J.R.R. Tolkien. The three films tell a continuous story set in Middle-earth 60 years before The Lord of the Rings, which Jackson and his filmmaking team brought to the big screen in the blockbuster trilogy that culminated with the Oscar-winning The Lord of the Rings: The Return of the King. Having survived the beginning of their unexpected journey, the Company continues East, encountering along the way the skin-changer Beorn and a swarm of giant Spiders in the treacherous forest of Mirkwood. After escaping capture by the dangerous Wood-elves, the Dwarves journey to Lake-town, and finally to the Lonely Mountain itself, where they must face the greatest danger of all -- a creature more terrifying than any other; one which will test not only the depth of their courage but the limits of their friendship and the wisdom of the journey itself -- the Dragon Smaug. The screenplay for The Hobbit: The Desolation of Smaug is by Fran Walsh & Philippa Boyens and Peter Jackson & Guillermo del Toro, based on the novel by J.R.R. Tolkien. Jackson also produced the film, together with Carolynne Cunningham, Zane Weiner and Fran Walsh. The executive producers are Alan Horn, Toby Emmerich, Ken Kamins and Carolyn Blackwood, with Philippa Boyens and Eileen Moran serving as co-producers. Under Jackson’s direction, The Hobbit: The Desolation of Smaug was shot in 3D 48 frames-per-second and will be released in High Frame Rate 3D (HFR 3D) in select theaters, other 2D and 3D formats, and IMAX. Production took place at Jackson’s own facilities in Miramar, Wellington, and on location around New Zealand. Post production took place at Park Road Post Production in Wellington. 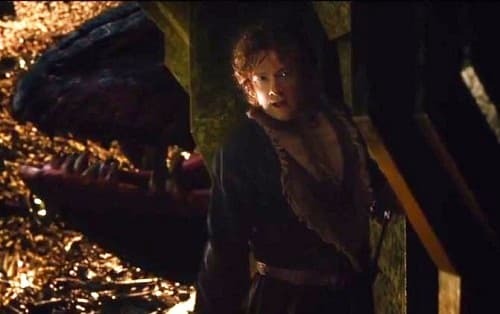 New Line Cinema and Metro-Goldwyn-Mayer Pictures Present a WingNut Films Production, The Hobbit: The Desolation of Smaug. The Hobbit: The Desolation of Smaug is a production of New Line Cinema and Metro-Goldwyn-Mayer Pictures (MGM), with New Line managing production. The film opens nationwide on December 13, 2013. Warner Bros. Pictures is handling worldwide theatrical distribution, with select international territories as well as all international television distribution being handled by MGM. By entering the sweepstakes, entrants release and hold harmless Warner Bros. Entertainment Inc. and each of its respective parents, divisions, affiliates, subsidiaries, agents and advertising agencies (collectively, “WBEI” ) from and against any and all losses, damages, rights, claims, and actions of any kind arising in whole or in part, directly or indirectly, from the sweepstakes or participation in any sweepstakes-related activity (including without limitation the removal from the site of, or discontinuation of access to, any materials), or resulting directly or indirectly, from acceptance, possession, use, or misuse of any prize awarded in connection with the sweepstakes, including without limitation personal injury, death, and/or property damage, as well as claims based on publicity rights, defamation, and/or invasion of privacy. One (1) winner will receive two (2) IMAX tickets in the form of Hollywood Movie Money Certificates. Each Hollywood Movie Money Certificate is redeemable for one (1) IMAX movie admission with a maximum value of ($21 total) to see any IMAX film (not exclusively The Hobbit: The Desolation of Smaug) at participating theaters. 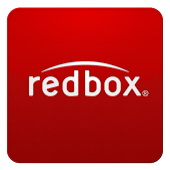 Winners will be directed to the website http://www.activaterewards.com/imax where they will use the provided reward code to activate and print their Hollywood Movie Money Certificate. The reward code will expire on 12/31/2014. The Hollywood Movie Money Certificate will expire one month from online code activation and winner must comply with all terms and conditions specified by the issuer. Hollywood Movie Money Certificate not used by the date noted on the certificate will be void. Any amount remaining of any certificate after initial use will be forfeited. Total Approximate Retail Value (ARV) for two (2) Hollywood Movie Money Certificates: $42 USD. 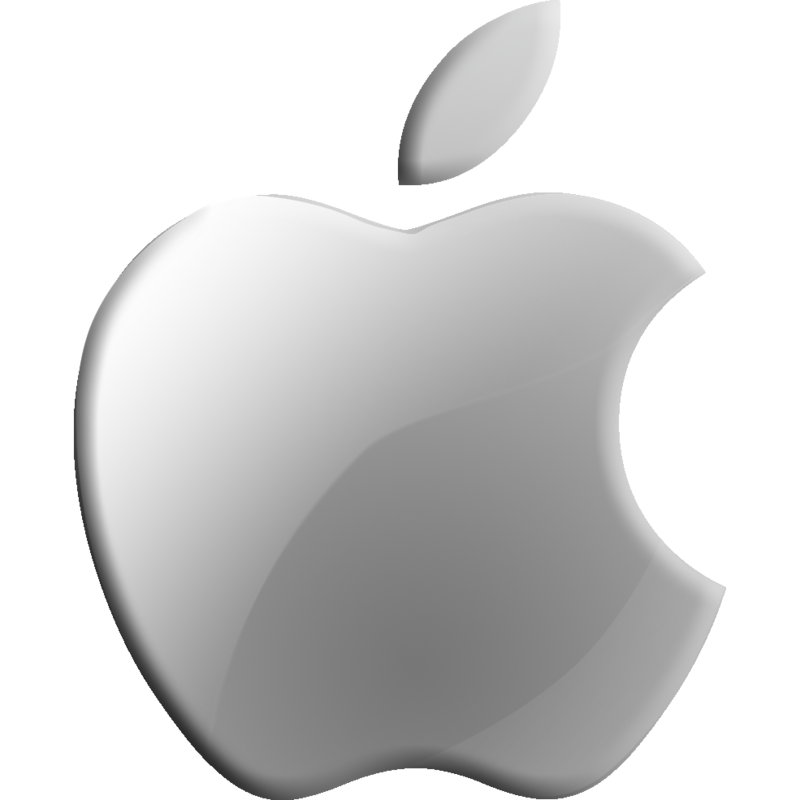 In no event will the WBEI be responsible or liable for any damages or losses of any kind, including without limitation direct, indirect, incidental, consequential, or punitive damages, arising out of any access to and/or use of the sweepstakes site, the downloading from and/or printing material downloaded from the sweepstakes site, the removal from the sweepstakes site of, or discontinuation of access to, any materials, or the acceptance, possession, use, or misuse of, or any harm resulting from the acceptance, possession, use or misuse of, or participation in, any prize awarded in connection with the sweepstakes. 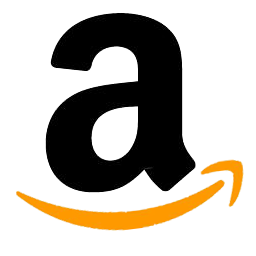 Without limiting the foregoing, the sweepstakes, all prizes, and all materials provided on or through the site “are provided as is” without warranty of any kind, either express or implied, including without limitation the implied warranties of merchantability, fitness for a particular purpose, and non-infringement. The Hobbit: The Desolation of Smaug Prize Pack: Enter Now!